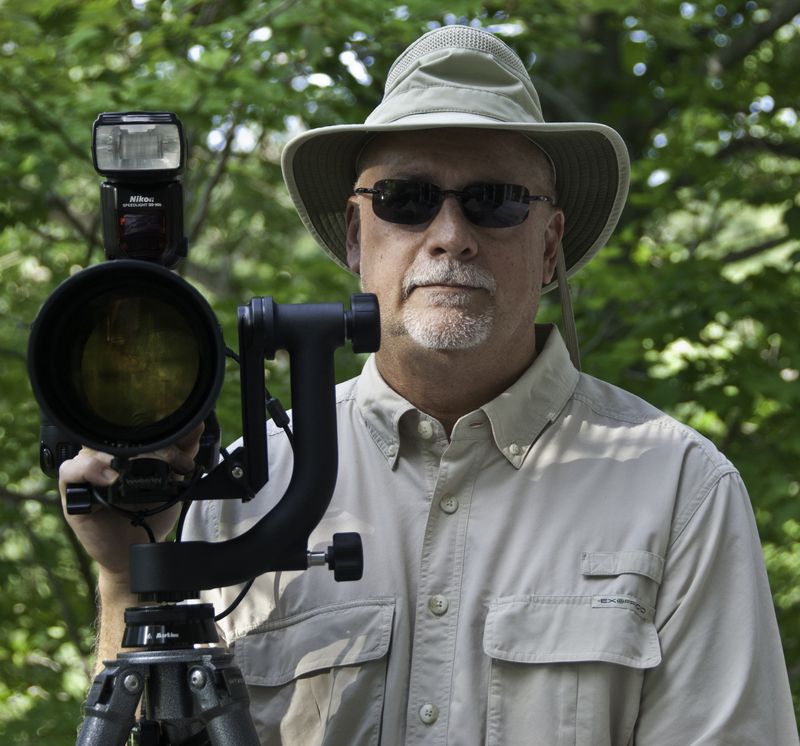 I am a retired Department of Defense Senior Executive, who since retiring in 2003, have been renewing my passion for photography. My interest in photography began when I purchased my first SLR while overseas in the Army many years ago. There, I also learned to process my images in a darkroom on post. Now in retirement, my love for Nature’s spectacular beauty has inspired me to renew my interest in photography. Photography provides a window into the beauty I experience and a means to share it with others. My photographs are displayed in numerous homes and corporate offices and have been used by conservation and preservation fundraisers, nature-based educational programs and permanent displays, various published and on-line books and publications, commercial and nonprofit websites, exhibit signs at two zoological parks to include the Smithsonian National Zoo, and in permanent exhibits in two Florida museums to include the Florida Museum of Natural History. In March 2011, 5 of my images were printed on aluminum and hung in a new medical building, two of them 4′ wide and 6′ tall in the main lobby. I enjoy the technical aspects, challenges and rewards of digital photography and the digital darkroom. I strictly use Nikon camera bodies and lenses, and process my RAW images in Lightroom 5 and Photoshop CC. Do not hesitate to contact me at: stabone@live.com I would enjoy hearing from you. I am often asked what camera gear I own and use. In response to those inquiries, the following is a list of my essential gear. You certainly have many striking photographs here. Keep up the great work! Thank you Laura and welcome to my blog. Is it possible to buy copies of your photos? Yes , it is possible to purchase prints. I will send you an email with more details. I am a writer for the Pineapple Post in Jensen Beach FL, and we’re doing a feature article on river otters this edition. Would you allow me to use some of your photos of otters if I am sure to credit you for them? This paper is very popular with school children, and I know they would enjoy your photos. You can look at the paper online at pineapplepost-jb.com. Thank you! Stephen, I really love your pictures of the sunflowers! Our corporate logo is a sunflower and we are interested in seeing if we could use some of your sunflower pictures for our marketing materials. Is that possible? Let me know. Thanks! Hello Stephen,Your photos are beautiful! We are interested in using one of your photos of a heron on our website. Please contact us about how we would proceed in getting permission to do so.Thank you for your consideration.Best to you! Hi, I was wondering if I could use an image to wrap my van with. I work at a graphics design company, we have a large scale printer and wrap vehicles(among other things). We use 3M material only and I would be putting there logo along with your image on one side of my van. Please let me know your thoughts. Now, we are planning to add our pastor’s blog titled “On Eeagl’s Wings” to it and we have been looking for images that fit for his blog. At last, we found a good photograph (an immature American Bald Eagle in a blue sky) on your site and our pastor likes it very much. If it would be possible for us to use it, please let me know the information such as the image use fee. On September 18, you left me a message on my blog regarding the use of one of my eagle images. I am sorry for the delay in responding. Are you still interested in using it? And, which image is it. Please send the link to it. Although I received a message, I am sorry to notice it late. Even now, I would like to use it by all means. The blog is before publication, but the link you are creating is below. Please, thank you for your consideration, thank you. I was very happy yesterday, I quickly wrote a reply in a hurry and I was sorry for my poor English.